If you need that theme that’ll aid you in having a good spot on Google’s search and load your blog fast, this guide contains the best trendy WordPress themes optimized for SEO you’ll ever find online. This post contains beautiful, premium themes that are trendy, but what good would it be if you have the most attractive theme and very few people get to see it? After you’ve purchased your theme, you need to drive traffic to your blog. Get my Traffic Blueprint For New Blogs for a step-by-step strategy on how to get more page views. More people got to see that kickass theme you’re about to have on your blog. Elegant Themes and StudioPress themes are the two best SEO WordPress themes right now. They both optimize your blog to load faster with lightweight codes. Don’t just get any theme. Get an optimized SEO WordPress theme. Getting a theme that’s not optimized for SEO will give you a serious headache down the line. You don’t want to buy a theme now and get your blog established, only to discover that the pages in your blog loads slowly. And thanks to your theme, it’s near impossible to increase your page speed. Page speed is an important part of SEO. Slow load times leads to your blog ranking pretty low in Google search results. In spite of your efforts in crafting a blog post, promoting your post, even running paid ads to it, Google is still going to rank blogs with a faster page speed higher than yours. Google has publicly announced that page speed is among its ranking factors. So instead of buying a theme that is useless for SEO and later paying an SEO expert to make your blog load faster, it’s best to build your blog foundation on the right footing. Aside from not ranking on Google’s first page, having blog pages that take forever to load will make you lose sales. You can easily fix your page speed issues with some few tweaks that’ll make your website load in 1 second. Double the impact of your page speed. Without a solid hosting plan specially adapted for fast website speed, there's a limit to what you can do. Give your page speed a boost by using SiteGround hosting. According to surveys done by Akamai and Gomez.com, 47% of users expect a web page to load in 2 seconds or less. 40% of people abandon a website that takes more than 3 seconds to load. Just a 1-second delay in page response can result in a 7% reduction in conversions (source). You lose money and customers for every 1-second page delay. Though you need WordPress themes that support fast page speed, the two most important factors for page speed are your hosting and caching plugins. The fastest web host I use is SiteGround. It comes with a caching plugin called SG Optimizer, which boosts your site’s speed like crazy. Before I show you the 45 amazing WordPress themes for SEO, the two most trusted and reliable WordPress theme companies that fit the bill perfectly well are Elegant Themes and StudioPress themes. Elegant themes are one of the most popular and pace-setting themes. Their most powerful feature is the visual drag and drop builder, called the Divi Builder, that you can use to easily customize your theme, allowing your theme to have a personalized feel and making you look like a professional web developer. Divi is the flagship theme of Elegant themes and popularly referred to as the most popular premium WordPress theme in the world. With Divi theme, you have the ability to create truly amazing themes without touching a single line of code, unlike StudioPress themes. You can try the Divi theme for free here. StudioPress themes are built in the Genesis Framework. StudioPress boasts of professionally designed themes that are fully SEO-compliant with light and clean codes. They’re trusted by over 194,500 WordPress users including Yoast, Matt Cutts from Google, and the founder of WordPress – Matt Mullenweg. All StudioPress themes are mobile responsive and they make your blog fast, secure and run smoothly. They also partnered with a security expert and core WordPress developer, Mark Jaquith, to review the code for their themes. Aside from these two themes, there are other beautiful, SEO friendly WordPress themes. They are all mobile responsive, give top priority to page speed, and secure. With the #1 hosting company, SiteGround, combined with these WordPress SEO themes and your caching plugins, your blog is sure to beat 70% of blogs out there when it comes to site speed. Divi is the most popular in the collection of Elegant Themes. It’s mobile responsive and powered by the Divi builder, creating room for personalization of website for branding purposes. The Extra theme is a magazine-styled theme that works well on all devices as it’s fully responsive. You can customize your homepage and categories section with Divi’s drag and drop visual builder. This e-commerce theme is built for online store owners. It has an amazing mobile layout that enriches the experience mobile users will have for your blog. TheSource WordPress theme is a trendy WordPress theme designed to display loads of information in an aesthetically pleasing manner. It contains a homepage slider that’s sure to arouse your reader’s interest and leave a lasting visual impression on them. Small or individual businesses that seek to give their website a contemporary look and style are a perfect fit for this theme. It is mobile responsive, meaning it’s optimized to be used in tablets and phones. It is a smart choice for service providers and smart agencies. Corporate Pro Theme is ideal for organizations and establishments wanting to make a lasting impression online. It has that organizational look and touch to it. Magazine Pro Theme is ideal for online magazine sites, entertainment news sites, celebrity gossip sites, fashion and modeling sites, and all sites with a touch of pop culture and glam. StudioPress didn’t leave out the online teachers and gurus. All blog coaches, personal development coaches, online business consultants, and all who seek to teach and coach students online now have a theme suited and optimized for them. This theme is for online businesses that give top priority to building their email list. 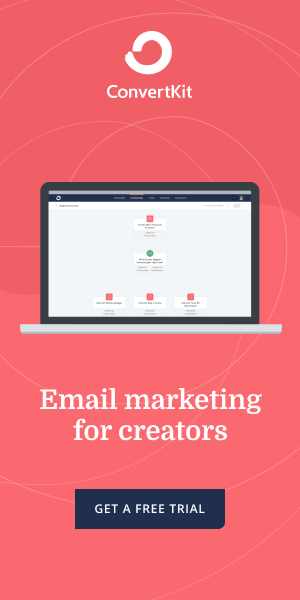 The theme focuses on email conversions. It’s ideal for affiliate marketers, internet marketers, blog coaches, online business owners, and organizations that rely on email list building to generate sales. News Pro Theme is ideal for online news sites. It’s a sleek publishing theme that’s sure to attract readers that will digest every content delivered in style. Simple and yet classic best describes the Lifestyle Pro Theme. It provides stylish online publishing for websites in the health, lifestyle, and wellness niche. You can never go wrong with it. The corporate design of this theme makes it suitable for any kind of business venture you have. If you wish to establish an online brand presence with your blog, the Enterprise Pro Theme is probably right for you. AgentPress Pro Theme helps industry savvy real estate agents build a better business with its intuitive design, powerful functionality, and smart listings. The design screams of credibility and status at any prospective client that is considering doing business with you. Eleven40 Pro Theme is designed to get your readers hooked on the content of your blog. It is a mobile responsive theme that delivers your content in style to phones and tablets. Executive Pro Theme has a design that is well-suited for online business consultants. The theme makes sure that any project your online business handles is strategically displayed. It sets you up as an instant authority on your field in the eyes of a prospective client. Religious organizations, organizations for charity, and any goodwill organization supporting a noble cause is not left out in StudioPress. Outreach Pro Theme is designed for churches, NGOs, and organizations that accept donations to reach out to people in need of help. Foodie Pro Theme is a classic theme for blogs about recipes, fruits, food, vegan, and kitchen. It is styled minimally but very flexible with features that you’re going to love. No Sidebar Theme is a minimalist theme that strips things down to just your content. Don’t let it discourage you though, because the result of it is a clutter-free theme enveloped in a quiet allure. Essence Pro Theme is an uncluttered theme that’s great for lifestyle and health blogs. The minimalist design gives it a clean look to clearly pass across the message of any brand using it. Revolution Pro Theme is great for photographers and online art galleries seeking to showcase their products. Just about anyone seeking a fine-layered, grid homepage to display pictures, as well as texts, will find Revolution Pro to be a perfect fit. Advertising and marketing agencies will love the way this theme shows off their skills, expertise, and services in its neat, modern layout. The developers of this theme had barristers and those in professional practice in mind when it was created. It conveys professionalism, persuasive confidence, and highlights the major areas you can be of help as a skilled professional. Niche Pro Theme is a beautifully designed theme laced with feminine touches. It’s a tempting choice for women and is great for niches in the fashion, lifestyle, gaming, political and entertainment news industry. The simple and classy image-rich layouts contained in this theme makes it suitable for a food/recipe blog or a health and wellness blog. The different sections for images create a catchy effect on the eyes. Academy Pro Theme is tailored to meet the needs of online course creators, online coaches, membership site owners, and just about anyone who create products and sell online. This multi-featured theme is shrouded in simplicity. The black and white color contrast of the Monochrome Pro Theme gives it a minimalist and uncluttered look. It’s great for website owners who want a solid website with an easy-to-use theme. Gallery Pro Theme is a bright theme with minimal design. The warm nature of this theme makes it perfect for lifestyle blogs, personal development blogs, and fashion blogs. Infinity Pro is a sleek and elegant website to use when creating your brand online. It has a mysterious suave that looks easy on the eyes. Infinity Pro screams credibility, stylishness, and trust. Studio Pro caters to creative agencies with its simplistic, easy-to-use theme. It is designed in such a way as to highlight the services of an agency or a corporate body. This theme works perfectly for e-commerce sites and any website selling digital products. Digital Pro is a friendly and open theme with readable typography. It’s specifically built to market your products professionally. Kreativ Pro is a versatile theme that can be adapted for different online industry niches. Exuding a warm and welcome feel, the theme highlights what your agency is all about by clearly stating its features. Refined Pro is meant for photographers and graphic designers who intend to build an evergreen website to showcase their art gallery or stunning images for sale. It has a classic, upbeat look that’s easy on the eyes. Showcase Pro is a theme that makes your website effortlessly beautiful. With this theme, your content is displayed in a clean, radiant style. Parallax Pro Theme supports narrative and visual storytelling that leads your visitors to a powerful call-to-action at the end. The simple and clean look, along with the easy-to-read typography, will make your readers hooked to the website. Wellness Pro Theme, as the name suggests, has inbuilt features for a health and well-being blog. For those who’ve dedicated their online career to healthy living, this theme is just for you. Daily Dish Pro serves your content in the most appetizing manner with a beautiful and clean theme. It’s perfect for a food and recipe blog. Market Pro is a friendly theme that showcases content in a beautiful layout style. This theme is apt for displaying your expertise in a stunningly visual way. Images make up the most part of the interface, making your visitors glued to your website and read your content to the very end. Altitude Pro is a theme with a parallax effect on the background image. It’s a classic theme for online business owners to leverage and sell themselves online. It’s suitable for bloggers, online course creators, and digital marketers. Slush Pro is a simple theme that focuses all attention on the content you wish to share on your website. This is an easy theme is tailored towards marketing your brand online. Smart Passive Income Pro Theme was developed by Pat Flynn. The impressive design will capture your eyes, just before the strategic content areas for marketing your products and services arouse your entrepreneurial mind. Atmosphere Pro Theme immediately creates a relaxed mood in the mind of a first-time visitor that’s about to browse through your content. The minimalist theme has a well-structured layout to itemize your products and services to your online buyers. Cook’d Pro is a minimalist theme that places food and recipes at the spotlight. This neat theme places a premium on rich image layouts to delight the visitors with mouth-watering foodstuff. Café Pro Theme is the end result of the combination of Parallax and Foodie themes. It is designed to cater for any brick and mortar business that want to establish a strong presence online. Glam Pro is a dazzling theme that’s perfect for a fashion and lifestyle blog. The radiance and brightness of this theme creates a dazzling impression for a first-time visitor and adds a touch of excitement to the overall look of the website. Author Pro is styled for published authors who desire to showcase their books to readers. The intuitive design of this theme has a modified image layout to the size of a book cover, giving readers the pleasure of virtually opening a book for their reading pleasure. All of these themes have a premium, visually appealing design coupled with the fact that they support a faster page load time and are SEO optimized. If you’re looking to have a fast loading blog and not have readers bounce off your blog because of slow page loading, I recommending you use SiteGround web hosting. Plus, they can migrate you for free if you’re already on another web host.